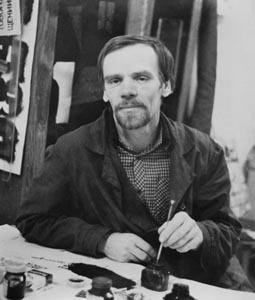 Well-known Russian painter and graphic artist. Currently lives and works in Ekaterinburg (Russia). Works in easel painting, graphic techniques, wood engraving, decor. Main preference is the Urals landscape. Constant participator of the regional and city art exhibitions. His works are performed in private and corporate collections in Russia, Europe and USA.